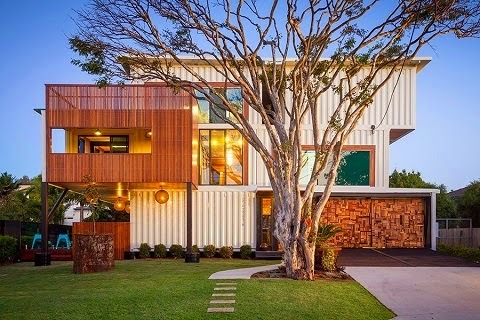 Mr. G's musings: A shipping container house. ME WANT! I am obsessed with reusable materials in architecture. This is an amazing example of shipping containers being used to create a very attractive, and large(6000 sq ft) contemporary home. I found this beautiful home on one of my favorite blogsites. Who Else Wants Simple Step-By-Step Plans To Design And Build A Container House From Scratch?